Budget-friendly Victoria Falls accommodation, right on the banks of the Zambezi River in Livingstone Zambia, just got even better. 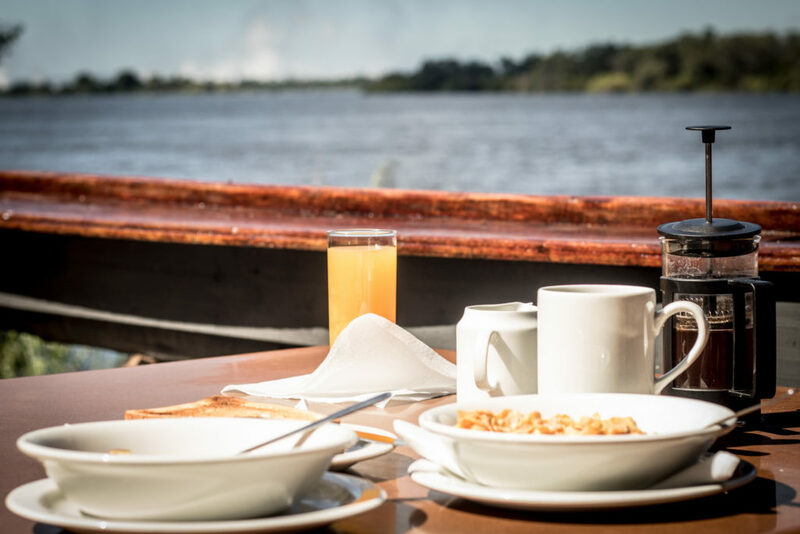 Victoria Falls Waterfront just included continental breakfast in their USD 30 per person sharing tent rate. If you enjoy the outdoors this is a spectacular offer. Situated just inside the Mosi-oa-Tunya National Park directly on the river. During the peak season, the Victoria Falls spray is easily seen. 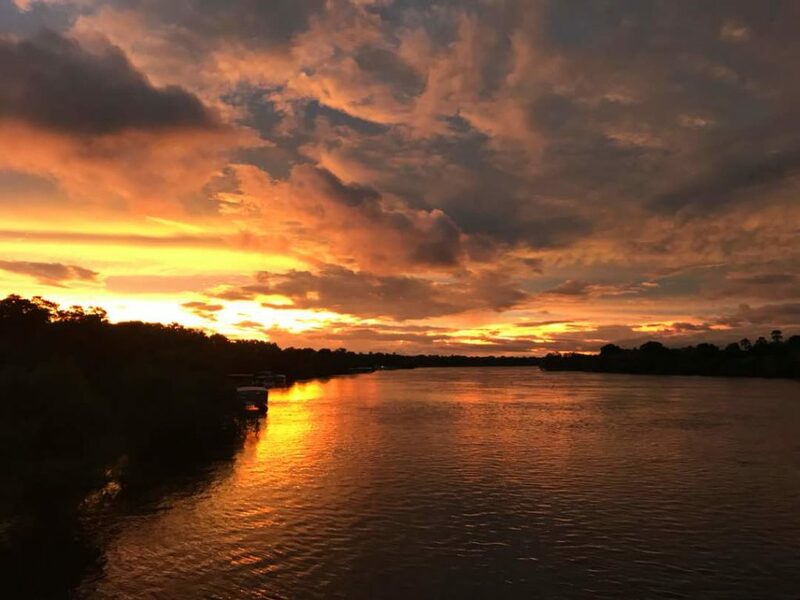 The Victoria Falls Zambezi Waterfront is renowned for breathtaking sunsets and incredible pizza. This is a great option for travelers and guests seeking a budget Victoria Falls accommodation option. The tents contain a fan, lights and two comfortable beds. This option also gives you access to all the goodness that is the Victoria Falls Zambezi Waterfront. Fully stocked bar and restaurant, a superb sundowner deck right on the banks of the river. 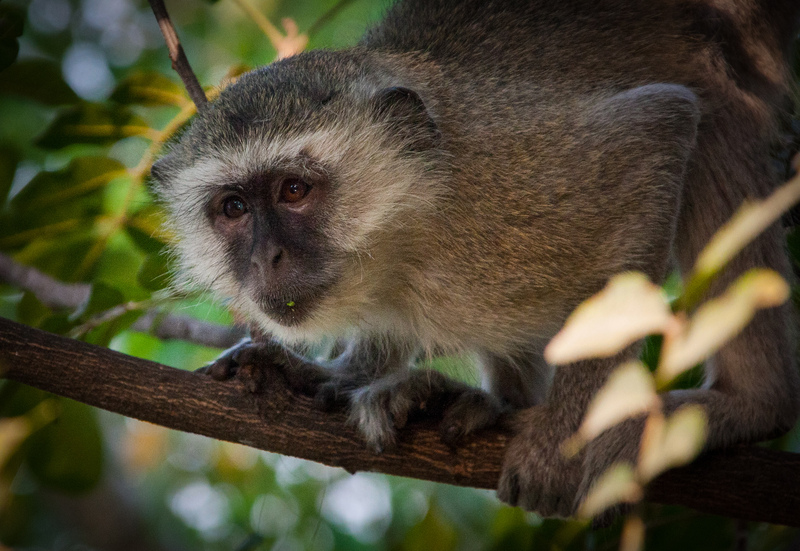 With open and cool garden’s complete with a rambunctious vervet Monkey population and regularly visiting elephants. We run a shuttle service every day direct to the majestic Victoria Falls. So transport is not a problem. We also run a daily shuttle to town if there is something you need to get. Victoria Falls Waterfront river sunsets are infamous. Breakfast with the falls as a backdrop before heading out on your daily adventures. Activities can be booked on site in our Safari-Par-Excellence Activity center. Safari-Par-excellence is the leader in the area’s activities, the pioneers of the rafting in the Batoka Gorge and the owner-operators of the infamous “Elephant Cafe”. 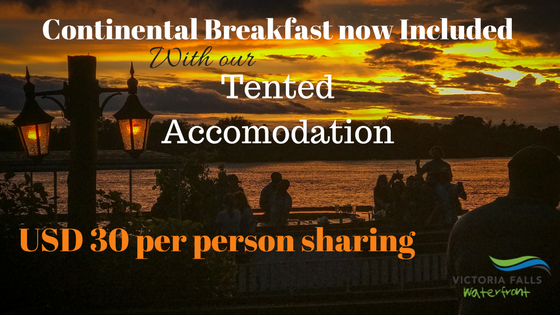 Continental breakfast is included in your tented stay. 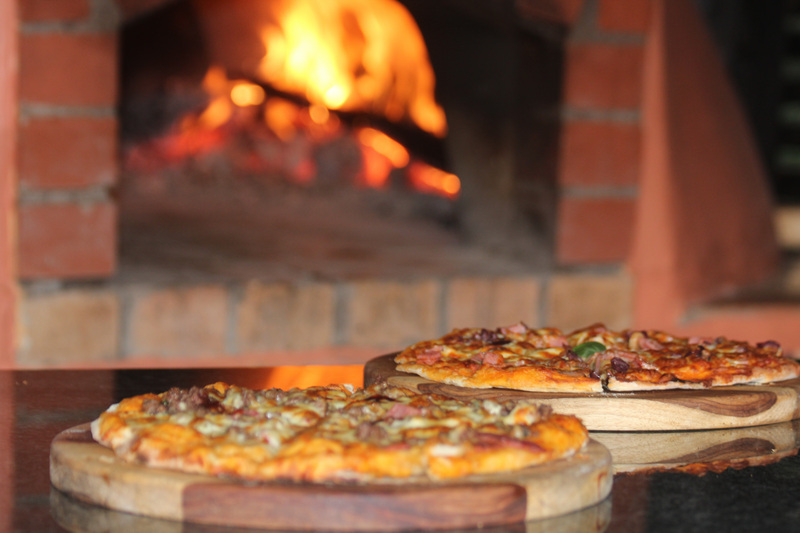 There is also a renowned pizza oven called Pepino’s, firing up spectacular authentic Italian Pizza. After a great day at the majestic Victoria Falls, this is a great option to unwind. Crack open a Mosi Lager, sit back and enjoy the view. Pepino’s, offering superb wood-fired pizza. Monkey’s are frequent tent visitors. With the water so close by the bird viewing tends to be rather epic. 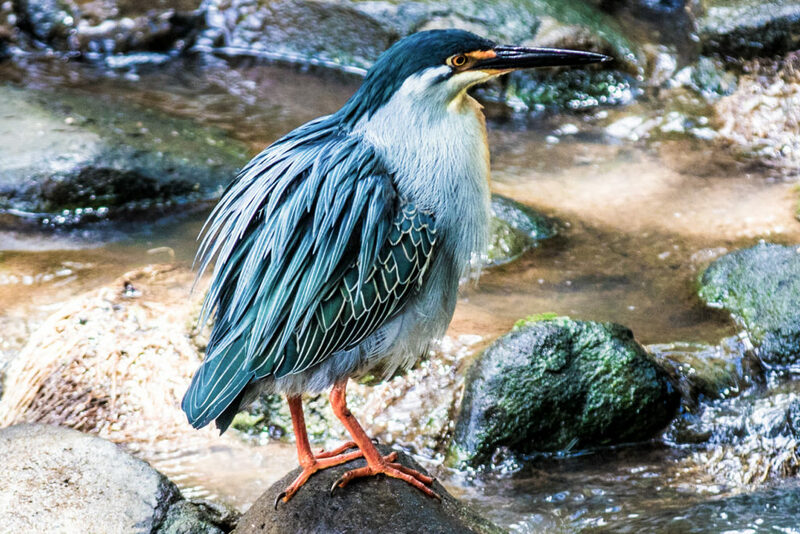 Here is a Green-backed Heron.